Commercial city of China. Its Jewish inhabitants number about 150, most of whom are Russian and Polish. They have not organized as a community and hold divine services only during the penitential season, when private halls are used and Sefer Torahs are brought from Shanghai. In 1902 J. Dietrich purchased a piece of land and presented it to the Jewish inhabitants for burial purposes. In 1904 a branch of the Anglo-Jewish Association was formed, of which Dr. M. Linscer is president. 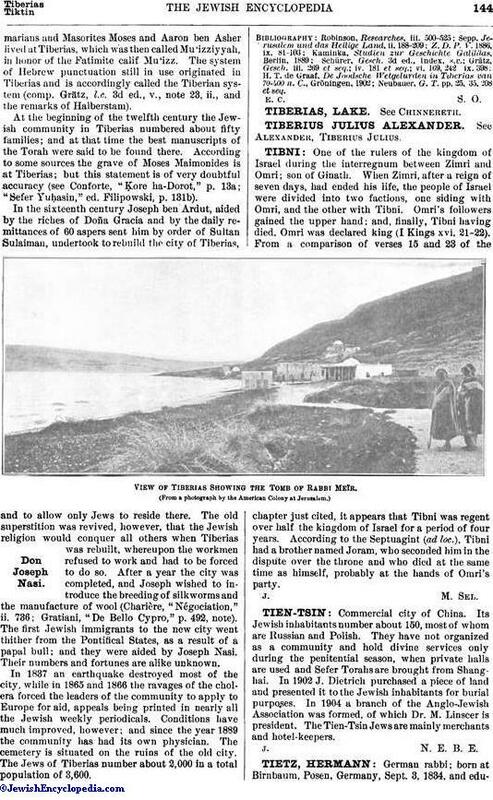 The Tien-Tsin Jews are mainly merchants and hotel-keepers. J. N. E. B. E.